﻿I hardly bake anything these three weeks because of my knee injury. I had limitations in my movements. I could not go marketing, needless to say about buying ingredients for baking. Currently, I am having withdrawal symptoms! Well not for eating of course but for BAKING! I am posting this cake which I baked quite some time ago. 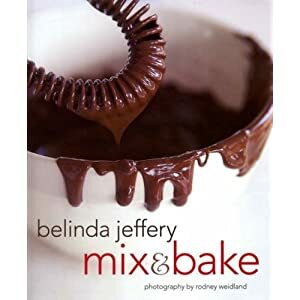 It is from the Belinda Jeffrey's cookbook; "Mix & Bake". I like most of the cakes in her book as it has a homely feel to it and perfect for tea time treats. You don't need a mixer for this recipe, just whiz everything in a food processor will do. Just like Nigella Lawson sometimes. Adapted from Belinda Jeffrey's "Mix & Bake"
1. Preheat oven to 180 C. Butter and flour a 10 cup size bundt pan and set aside. 2. Scoop the sour cream and yoghurt into a bowl and thoroughly mix them together. Stir in the bicarbonate of soda, then leave to stand for about 15 minutes; the mixture aerates and puffs up when you do this. 3. Put the nuts, 110g of the sugar and the cinnamon into a food processor and pulse until the nuts are finely chopped. Pour this mixture into a small bowl. Put the flour, baking powder and salt in the processor and whiz them to combine. Tip them into another bowl. 4. Put the eggs and the remaining 275g of sugar into the processor and whiz them for one minute. add the butter and process everything for another minute. 5. Stir the rum and vanilla extract into the sour cream mixture; this will cause it to deflate somewhat. Add this to the mixture in the processor and blend it all together with a few quick bursts. Add and fold the flour mixture in a few spoonful at a time until it is just combined. 6. Spoon a 2 cm layer of cake batter into the bottom of the prepared bundt tin and smooth out the surface. Sprinkle about 1/3 of the nut mixture over the top and shake the tin gently to even it out. Cover this with another thin layer of batter. Sprinkle the rest of the nut mixture over this. even it out again, then spread the remaining cake batter on top. 7. Bake for 50 to 60 minutes or until a fine skewer inserted in the middle comes out clean. Cool the cake in the tin on a wire rack for 5 minutes. Gently loosen around the sides and central hole. Invert the cake onto the rack and leave it to cool completely. This cakes looks great! I love simple cakes like this. And I have been hearing and reading all the good reviews about this book. Went to the bookstore, but there's no copy of it available. They say I will have to order first. Does this book comes with lots of photos? Sorry to hear about your knee. Hope you are feeling much better now. My belimbing tree is more than 12 years old now. I love that tree! It has provided me with many fruits over the years. I pruned the tree a couple of months back as it was getting too big, and now is growing back again, got to wait awhile for the fruits! Thanks for stopping by. Yes, the book has pictures for almost every recipe. If you like simple cakes like me, you will like this book. I bought this book through mail order from 'Better World Books'. Their books are cheaper than Amazon. They look like like simple cakes but her methods are not exactly simple but for seasoned bakers like you, there will be no problem. You can succeed with most of the recipes. Cheers!